Lisa Mae Brunson is a Creative Visionary, Speaker, Author & Social Innovator that is committed to impacting humanity on a global scale. She is founder of Wonder Women Tech, an International conference that picks up where TED leaves off in the Diversity and Inclusion sector, which celebrates, highlights and educates women and diversity in STEAM and innovation. She has launched Junior Innovation Camp and Wonder Girls Camp teaching underprivileged kids how to code, build games and film, two hackathons–Hacks 4 Humanity, a hackathon for Social Good, and Wonder Women Hacks, a hackathon where women and men build mobile apps to address challenges facing women and girls. In an effort to ‘disrupt the conference model, Lisa Mae produces programming and initiatives within her conferences that provided an immersive and experiential journey for attendees, sponsors and partners. She recently received a three year commitment from the City of Long Beach to host the Wonder Women Tech Conference from 2016 – 2018 at the Long Beach Convention Center! The WWT 2016 Conference will be from July 15th – 17th, 2016. 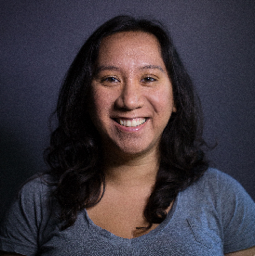 Lisa Mae has also created EqualityTV, a digital media start-up highlighting marginalized and underrepresented communities, which is currently on hiatus while she focuses on developing the Wonder Women Tech Conference 2016. She is the Founder/Director of the Wonder Women Tech Foundation, which produces the WWT Conference and its initiatives. Lisa Mae is also a Founding Member for a nonprofit, Uncoded, an open source tech community, and was on the Board of Directors for the Alcoholism Center for Women. She is on the Advisory Board for the California Women’s Conference and the Urban Media Foundation and speaks at conferences, events and universities. In Sept, 2015 Lisa Mae created The Wonder Women Tech Show, a talk show web series that highlights pioneering women in STEAM, innovation and entrepreneurship. She is also co-host and producer of the show. Lisa Mae organizes socially innovative projects, like the global “I Am Equality” photographic campaign, which launched in 17 cities and 5 countries around the world. She has hugged over 8,000 people with her Love, Hugs and Inspiration Campaign, providing passersby hugs and free poetry books. She volunteers with the Long Beach Code for America Brigade, and other tech initiatives geared towards civic engagement and community building. She helped organize a global #Fishackathon with the U.S.
Sara Glaser is a media strategist, campaign organizer, and filmmaker. Sara keenly focuses on, supports, and connects innovators and thought leaders from a variety of sectors who are redefining their careers as a vehicle for societal transformation. She co-founded Kind Media Foundation, an organization that produces video, web, print and social media to assist & empower nonprofit organizations tackling key global and local social & environmental issues and co-produced Good Virus: Kindness is Contagious, the feel-good documentary, all about being nice and the benefits of being kind. She is currently an MBA candidate in Sustainable Management at Presidio Graduate School where she is passionate about helping others in expanding practices that cultivate just and sustainable communities across the globe. Brianna is passionate about human rights. As a Visioneers Producer for EqualityTV, which program highlights marginalized and underrepresented children and teens around the globe, Brianna is able to directly inspire the communities she wishes to serve. She has honed her media skills as a radio host, and assistant show producer for a talk radio show, which has also allowed her to tap into her core beliefs and values. She delves head first into projects which celebrate humanity, and is an avid researcher to provide information which support program and event initiatives. She loves animals and regularly volunteers at animal rescues and shelters. 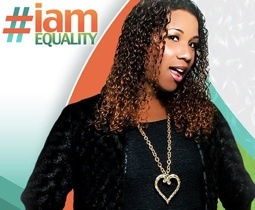 Brianna is on the Board of Directors for the 'I Am Equality Foundation' and is involved with several organizations, like the Catalina Humane Society and various community programs in Long Beach, California. Bethany Guajardo is a freelancer who specializes in graphic design, branding,marketing, and new media. She received her Bachelor’s Degree in Cinema and Media Arts and minored in Biblical Studies at Biola University, located in Los Angeles, CA. Her unusual background, being the Child of Deaf Adults (CODA) and growing up with the Christian faith, cultivated a unique perspective which lends itself to the Hacks 4 Humanity cause. Her belief that all people are intrinsically valuable and that everyone can contribute to the social good aligns with H4H. She currently resides in Long Beach, CA, where she works out of WE Labs (welabs.us), an innovative co-working space and startup incubator. You can find her at teambeth.com or on Twitter at @team_beth where she muses about faith, life, and technology.